Matthew Herder is the Director of Dalhousie University's Health Law Institute, as well as an Associate Professor in the Faculty of Medicine with a cross-appointment to the Schulich School of Law. He holds a Master of the Science of Law degree from Stanford Law School, law degrees from Dalhousie University, and a science degree from Memorial University. 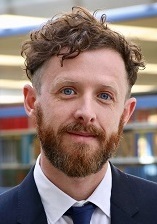 Before arriving at Dalhousie in 2010, Matthew completed his articles at McCarthy Tétrault LLP, clerked at the Federal Court in Ottawa, served as a policy consultant to Health Canada, was a Visiting Professor of Law at Loyola University Chicago, and the Kauffman Fellow at New York University School of Law. Matthew’s research is about biomedical innovation policy. Using critical legal analysis, he studies how laws and policies influence the development and regulation of, as well as access to, biomedical technologies such as diagnostic tests and drug therapies. His work has been funded by several organizations, including the Canadian Institutes of Health Research, the Social Sciences & Humanities Research Council of Canada, Genome Canada, and the Royal Society of Canada. He has authored and co-authored articles and commentaries in both legal and biomedical journals, including the Canadian Medical Association Journal, the Journal of Law, Medicine & Ethics, and Nature Medicine. And he has appeared before the Organisation for Economic Co-operation and Development as well as Canadian Parliamentary Committees in both the Senate and House of Commons as an expert witness.